Feature photo by ky_olsen. Photo above by Steffe. It’s possible to make some extra cash with a little talent. All you have to do is choose the right place. 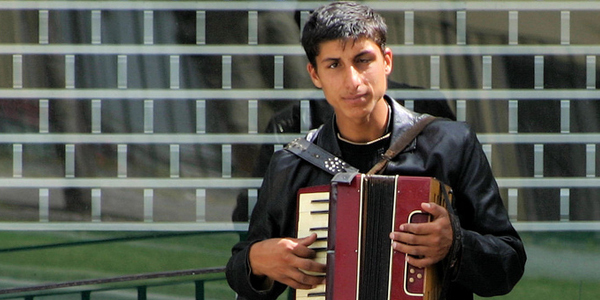 Busking is the time-honored practice of performing for spare change in public – generally on the street or in a park. Most buskers are musicians, but if you have any sort of talent, you can generally make some good money by putting on an honest performance in a high traffic and relatively affluent area. If you’re looking to get a sense of the local culture, street performance is a great way to do it. Your status as a foreigner adds to the exoticism of your act, so it can help give you a leg up on the locals. During the warmer months, Washington Square Park is one of the most highly trafficked areas of the city – mostly by students and relatively well-to-do creative types. Music, magic and dance crews often pull in some significant change – and even if you’re not looking for that much money, you’re sure to at least find an appreciative audience. The Berlin Lacht International Street Theatre Festival is held a few times every year, showcasing talent from around the world on the streets of Berlin. This great city has a long, proud history of bohemian performance art. Germans love American music – get out there and play some of your favorite hits. Don’t worry too much about keeping a tune – your accent sounds exotic enough that it doesn’t matter. Yes, the Irish may have a long-standing reputation for being dour – but at least once a year, during the summer Street Performance World Championship, Dublin becomes an absolute busking extravaganza. Whether you want to go and perform yourself – and hopefully rake in some coin – or merely learn things from some of the best performers on the face of the earth, it’s worth checking out. The competition can get fierce. 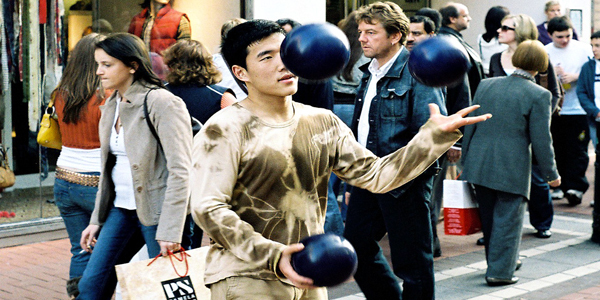 Magicians, mimes, daredevils, jugglers and musicians turn the street into an open circus. The artistic center of Paris, Montmartre is where you are likely to find some of the finest mimes in the world. If you’re interested in getting more into miming – or just want to busk in an area where locals and tourists alike are accustomed to giving money to street performers – it’s certainly worth a visit. Living statues are also popular there – if you’re planning on taking that route, make sure that you wear a colorful, unique costume to set yourself apart from the rest. Covent Garden happens to be one of the most happening street performance centers in the world, with one of the longest standing histories of providing an outlet for public performance. Unfortunately, it’s not entirely open to outsiders – the performers negotiate with one another to set schedules, and you need to pass an audition to get through. However, that should not be a significant hurdle for you to get over if you plan ahead of time, are confident in your artistic merit, and know how to charm artists. 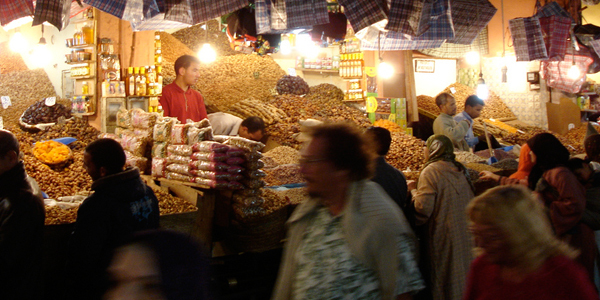 Marrakesh is a city that is arguably still largely in the Middle Ages, from the architecture to the culture. It’s a prime site for beggars, street vendors and performers – mostly locals. If you think you can pull it off and mesh well with your surroundings, the street traffic in the market squares can be totally overwhelming. If you can make it here in the old markets, you can make it anywhere. The Old City is one of the most fascinating places on the planet. It’s sacred ground for three major religions, making it a year-round tourist destination. The relatively warm weather – at least, when it’s not raining – also makes it a good place to get out some street performance, so long as it’s sufficiently respectful to pilgrims filing in and out of the various synagogues, temples and churches. Indians are always moving from one place to another, either on the helter-skelter roads or the marginally unsafe train system. There’s a long-established tradition of buskers playing music and dancing near transportation hubs. Get out your instruments at a high traffic train station and start playing – you might be surprised at how much change you’ll bring in from rushing commuters. Need some cash to keep you on the road? Give 25 Ways to Earn Money When You’re Broke on the Road a read, or check out the archive of Travel and Adventure Jobs at the Traveler’s Notebook.